BAKERSFIELD, Calif. — UPDATE 2:50 a.m.: All lanes of Interstate 5 at the Grapevine are now open. UPDATE 12:20 a.m.: CHP said southbound Interstate 5 is back open with escorts, as of 12:18 a.m., but northbound Interstate 5 remains closed. CHP said northbound I-5 is expected to reopen around 1:00 a.m.
UPDATE 11:40 p.m.: CHP said all cars have been removed from I-5. Caltrans is now working to put a solution on the road to make it drivable. CHP estimates I-5 to open back up withing 30 minutes to an hour. UPDATE 10:45 p.m.: CHP told 23ABC they hope to have the Grapevine open by around 11 p.m. or 12 a.m. They said they're working to clear the final cars stopped on northbound I-5 between Gorman and Lebec. Once they clear the road, Caltrans will be able to scrape the road and apply ice slicer to make it drivable. CHP is telling drivers to stop using alternate routes because it's causing congestion on side streets. CHP said navigation apps take drivers on side roads at higher elevations and it's caused spinouts, which is adding more work for CHP officers. 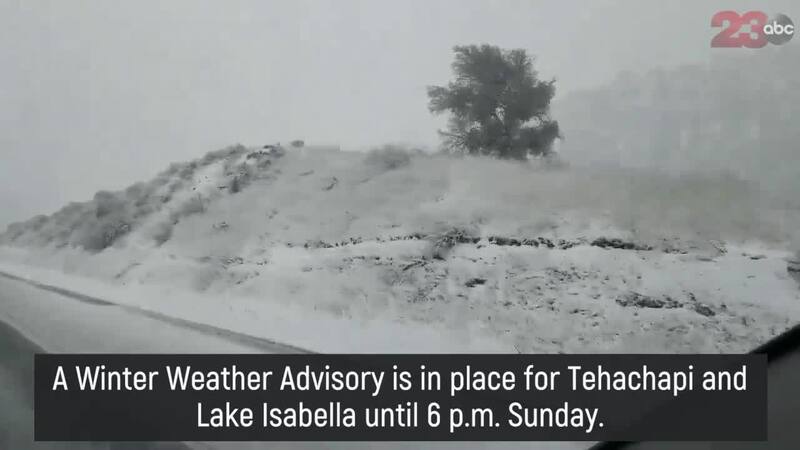 The California Highway Patrol's Fort Tejon office confirmed with 23ABC as of Sunday at 6:35 p.m., both directions of the Grapevine are closed. CHP said it's closed due to bad ice, multiple crashes and slick roadways. The southbound closure begins at Grapevine Road and the northbound closure begins at Parker Road in Castaic. CHP does not know when the highway will reopen.